If you like arithmetic drills, here’s a way that you and your child can create a lot of different worksheets. 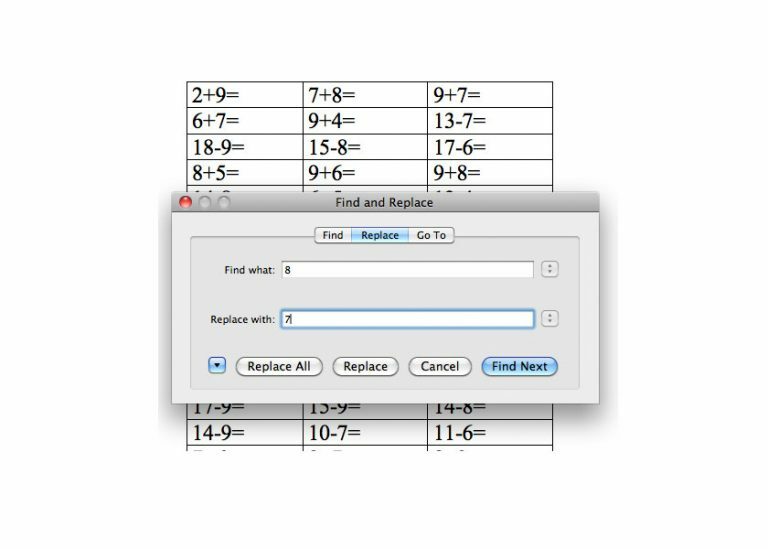 Just create your worksheet in Word and then use Find and Replace to let Word change all the math questions around automatically. I am attaching 2 examples that you can use as a starting point. Have fun!